Now in its 14th year, Michigan Celebrates Small Business (MCSB) is always an inspirational evening. But last night was even more exciting because MCSB has become a year-round entity. 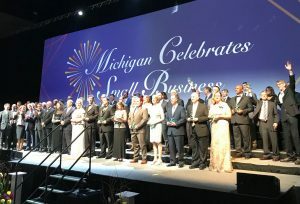 When MCSB debuted in April 2005, it was a compilation of several existing awards programs — and the launch of Michigan 50 Companies to Watch, which recognizes high-performing second-stage businesses. MCSB’s founding partners (Small Business Administration, Small Business Association of Michigan, Michigan Small Business Development Center, Michigan Economic Development Corp., Michigan Business Network and Edward Lowe Foundation) wanted to take the program to the next level, and last year we began a series of meetings to reaffirm our commitment and brainstorm about the future. The result is a 501c3 nonprofit organization that gives our loosely affiliated groups a more cohesive entity to serve Michigan’s growth-oriented small businesses. MCSB will also be creating new services to promote, support and connect growth companies, Deamud adds. To help develop these solutions, an advisory council comprised of growth-company CEOs will be established to inform the board about their needs. Initially the organization will serve current and past MSCB honorees, along with Michigan 50 CTW awardees, which are second-stage companies (meaning they typically have about 6-99 employees and $1 million to $50 million in revenue). In time, programs might be opened to other growth companies. Why the emphasis on second stage? For one thing, they play an important role in job creation. Indeed, in 2016 second-stage businesses in Michigan only represented 18.2 percent of companies, but generated 38.4 percent of all jobs, according to YourEconomy.org. In addition, second-stagers not only have a positive impact on the economy, but they’re also innovators, creating new industries and transforming existing ones. Perhaps even more important, they’re usually strong advocates of their communities and give back in a variety of ways, from revitalizing blighted neighborhoods with new facilities to supporting local charities and nonprofits. The new MCSB will help second-stagers scale larger and become even more successful — not only regionally but also at the national and global level — and I’m really enthusiastic about its potential. Although the founding partners played well together in the past, we were still essentially silos. Under this new organizational umbrella, with its formal governance and infrastructure, we’re able to increase communications, better leverage our individual strengths — and create new synergies. I recently talked with Rob Fowler, CEO of the Small Business Association of Michigan, who is equally gung-ho about MCSB’s impact. 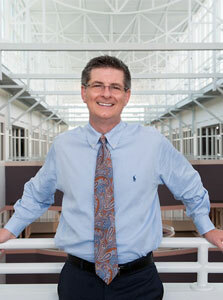 That’s important because the MCSB is out to change the narrative of economic development. I agree with Rob. Entrepreneurship-led economic development needs to be a priority in Michigan, and MCSB is poised to be the catalyst of this philosophy — to create a robust economy that isn’t overly dependent on recruitment and retention. Programming that results from MCSB will not only create more jobs and sustainable economic growth in Michigan, but also be a model for the rest of the nation.